I remember when the culotte trend came out late last year I was initially hesitant to wear it. I always thought the cropped trouser silhouette would never work on my petite frame. Not only would it dwarf me, I was sure the trouser length would look awkward on me. Fast forward to now, these ankle-bearing bottoms have become my closet staples. I'm so glad I had a change of heart because they're incredibly chic and easy to wear! I love them so much, I purchased them in different styles― a tailored solid colour, a casual stripe pair cuffed at the hem and this dainty soft lace design. If you've been wanting to try out this trend but are concerned on how to make it work, here are two things to remember: one, proportion is key; and second, choose the right footwear. Because these trousers fall below the knee, a great way to balance your look is by going for tops that show a bit of skin. 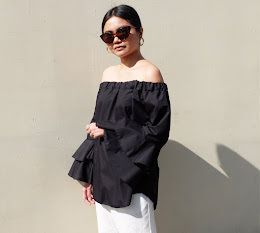 Cropped tops and off-shoulder peasant blouses make the best pairings for wide leg culottes. 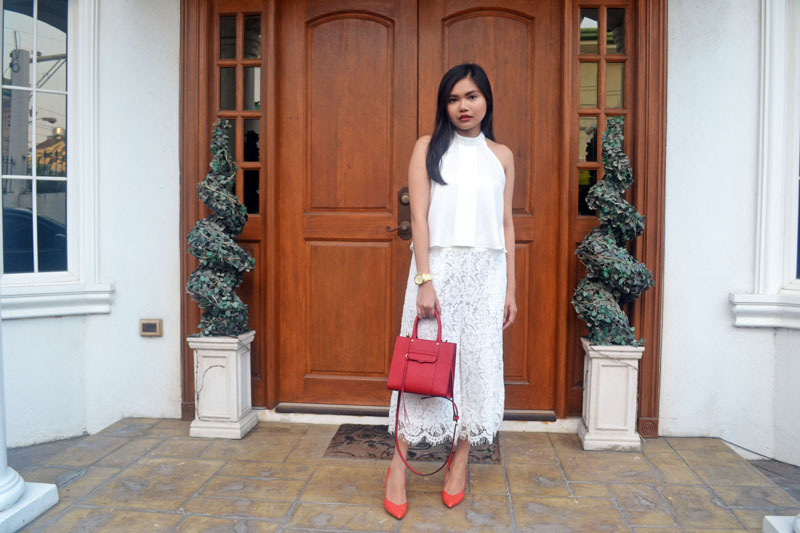 In addition, opt for a monochromatic ensemble just like this all-white outfit to appear taller. Which shoe styles look great with culottes? If you've got legs for days, you can easily get away with wearing culottes with loafers (or any other flat shoe style) and even chunky block booties. But if you're petite like me, team your favourite pair of culottes with heels. Be it closed pumps or open-toed stilettos, those extra few inches will surely help pull your look together. I actually wore this outfit to the opening of Uniqlo at SM Cebu a couple weeks back. It was a VIP Shopping event so I wanted to wear something comfortable but still stylish. I'm obsessed with these culottes so much, I imagine these in black lace would look equally chic especially when paired with gold accents.